It is the purpose of this program to provide a course of study and instruction which will best enable the member of a congregation to become active and effective in serving in Christ's church. This program is designed to provide college-level Biblical study for church leaders, Sunday School teachers, elders and deacons, and others interested in furthering their knowledge of the Scripture. This two-year program is designed for the individual who has considerable experience in church work and who is interested in establishing a secondary profession in Christian ministry, such as supply preaching, preaching for congregations who are unable to support full-time ministers, etc. This four-year program is designed to prepare evangelists to teach and preach the Scriptures effectively, develop compassionate skills of pastoral care, seek wisdom and vision for leading with integrity, strengthen the passion for evangelism, and develop effective communication skills. The BSL program is designed for students who consider the study of Biblical languages to be beyond their opportunity or abilities. We offer this degree program as an alternate for those students who do not consider themselves able to complete the language requirements in Bachelor of Biblical Studies. This information will be added very soon. Keep checking back for more information, or contact us and let us know how we can help meet your educational needs. Dr. King has the Ph.D. degree from the University of Minnesota, he has completed candidacy for the Ph.D from the University of Pittsburgh. He bachelor's degree was completed at the (now) Johnson University. He has done administrative work and teaching for (now) Crossroads College, the University of Minnesota, Lincoln Memorial University, (now) Carolina Christian College, Louisville Bible College, and Blueridge College of Evangelism. 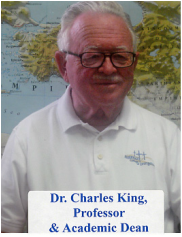 His experience includes 56 years in college work and 5 years in the pastoral ministry of the church. He has written more than 50 articles for religious and professional publications. He is the author of 3 books, one to be published this year, entitled "Acts Blueprint for the Church." He is the father of 4 and the foster father of 22 children. His hobbies include singing, playing the organ/piano, piano tuning,and gardening. Check out Dr. King's New Book! Dr. Wood has taught in public, private and Christian schools in elementary and homebound instruction, secondary, and community college. At Randolph-Macon Woman’s College, Lynchburg, VA, she taught education courses and directed the teacher education program. Participation in church involves teaching youth groups, serving on missions committee, and teaching both adult Sunday School and BCE extension courses at Cherry Avenue Christian Church, Charlottesville, VA. She writes for the Standard Lesson Commentary and for the Lookout Magazine, and other Christian publications. She is a graduate of Averett University (B.A., History and Social Studies), Blueridge College of Evangelism (M.A., Church Administration), and the University of Virginia (Ph.D., Education; M.A.T., History). Ima Jean has taught the teen Sunday School class and served as a youth sponsor at Mudfork Church of Christ for over forty years. 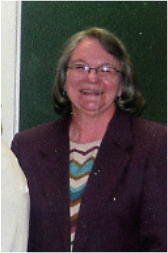 She has also been active as a Bible Bowl coach for over thirty of those years and taught in the public school system as an elementary school teacher. She received her A.S. degree from Southwest Virginia Community College and her B.S. degree in education from Bluefield State College. She has also completed additional studies at or through BCE, Concord University, Southwest Virginia Community College, and the University of Virginia. Ima Jean has been blessed with two daughters, two sons-in-law, and two grandchildren. 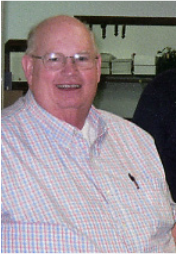 Richard has been involved in located ministry, foreign and local missions, and Christian summer camp since 1999. His main area of interest is in Theology, particularly biblical interpretation and apologetics. 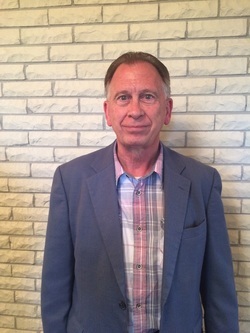 Richard has participated in academic debates and symposiums about the veracity of Scripture, including presenting research on biblical interpretation at places such as Concord University and the University of New Mexico. Richard has also led several mission trips to Haiti, where he has partnered with Haitian Christian Outreach to help build a hospital, schools, and churches. He has undergraduate degrees from Blueridge College of Evangelism (Practical Ministry) and Concord University (History of Philosophy). He also has a Master of Arts from Lincoln Christian University (Bible and Theology). Born and raised in Alleghany County, VA and after Bible College and 16 years of ministry in Kentucky, Indiana, and West Virginia, returned to minister at my home congregation in Covington,VA and am now in my 31st year there. Masters degrees from Kentucky Christian University and Liberty University, I have also served as chaplain and grief counselor with our local hospice (Mountain Regional Hospice) for 20 years. I am a candidate for Doctor of Religious Studies degree through Trinity Seminary in Newburgh, IND. I am father of three beautiful daughters, all active in Christian service, and enjoy spoiling my seven grand-children. We typically offer classes on campus on Mondays and Saturdays. On Mondays, we begin early and go all day, providing lunch and dinner for our students. Saturdays are typically intensive classes lasting all day. We have several extension locations offering classes at various times and locations. Refer to the schedule often to see if there is a location and a time that works for your schedule. We offer various classes online, and we are working toward building a more comprehensive list of classes being offered. Click HERE to let our registrar know you are interested in online classes.